GrimmSpeed’s objective is to provide you and your car a high quality product that is at a competitive price while delivering it to you in an ethical and honest way..
8 years ago, Justin Grimm developed a passion for Subaru vehicles. He enjoyed taking them apart and improving their performance. After a few years of enjoying his Subaru, Justin decided to make a career out of his passion. After realizing the niche market for Subaru aftermarket performance enhancing products, he started GrimmSpeed in his garage. As demand for the quality products grew, he opened his shop in St. Paul, MN. Justin and his dedicated team design each part inhouse and distribute them nationwide. In January 2010 GrimmSpeed moved into a 6500 SQ FT shop in Minneapolis, MN. This move has given us the opportunity to expand for years to come. Due to the extreme weather conditions of Minnesota, GrimmSpeed has unique opportunities to test their products to ensure quality performance. This allows professionals to continuously perform research and development on all products and make revisions accordingly. Since everyone that is a part of the GrimmSpeed family has a passion for automotive aftermarket parts, the products are not the only area of quality. GrimmSpeed has a presence on forum, blogs and various Instant Messenging accounts available to customers that have questions regarding any of their products. Justin felt that this was an important facet to GrimmSpeed, since he had has always done his own work on his cars; he understood the importance of having someone there to guide you along. The communications provided by GrimmSpeed let the customer know that there is help just a computer away. 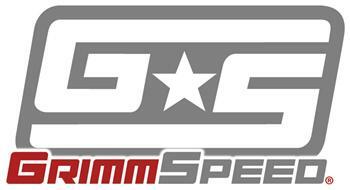 GrimmSpeed products are used by many race teams throughout the country in various sports. Be it Rally, Road Course, Autocross, Rally cross, or Drift, our products have shown to produce winning results.